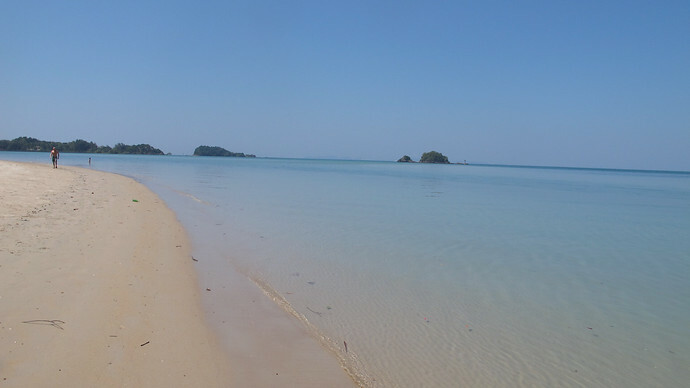 Saladan Village on Koh Lanta is situated in the northern tip of the Island. 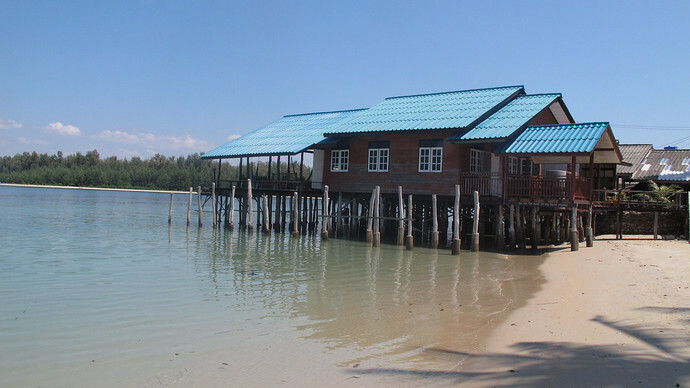 All visitors to Koh Lanta enter and exit through the village, whether arriving by ferry, speedboat or minivan – however you arrive on Koh Lanta, you are met by Saladan’s stunning wooden houses built along the water’s edge on stilts above the sea. 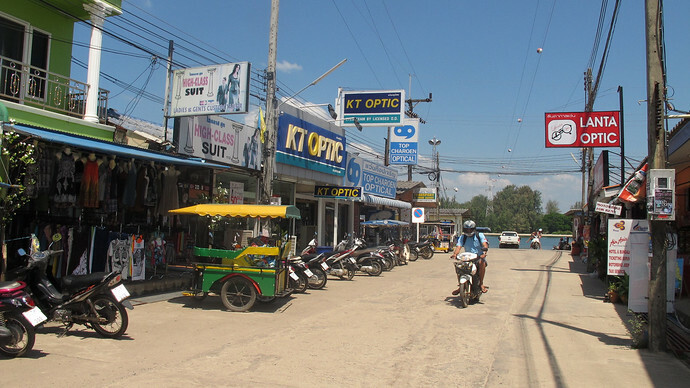 Saladan is a very small metropolis of shops, banks, dive operators, tour and travel agencies, pharmacies, massage and spas, tailors and surprisingly a lot of optician shops. There is also an interesting night market for paintings, clothes and handicrafts. This is where all the ferries arrive form surrounding islands. The car ferry arrives here too as well as the speedboat from the express transfer service. One of Saladan’s biggest attractions is its choice of restaurants, especially as some are built on stilts over the sea and offer breathtaking views over the water and onto neighbouring island Koh Lanta Noi. For an in depth guide in to Saladan’s restaurants please see our page on Best Restaurants and Cafes In Saladan. With only one road into town, Saladan is easy to navigate. When you see the road end, turn left or right and that will take you along the sea road, where all the shops and restaurants are built over the sea on stilts. This is a fantastic place to watch the sun set and moon rise over the mountains. Saladan really comes alive at night and in the high season the police stop all cars entering town, making it more fun to walk around. When you want to go home you walk out of town and all the tuk-tuk drivers will be queueing up waiting for you. Saladan Village is becoming more popular with tourists wanting to stay closer to town with all the amenities close by. Saladan offers some very nice guest houses and resorts which reflect the nature of the island. They are situated just outside the main streets in quieter areas which really make for an affordable retreat. 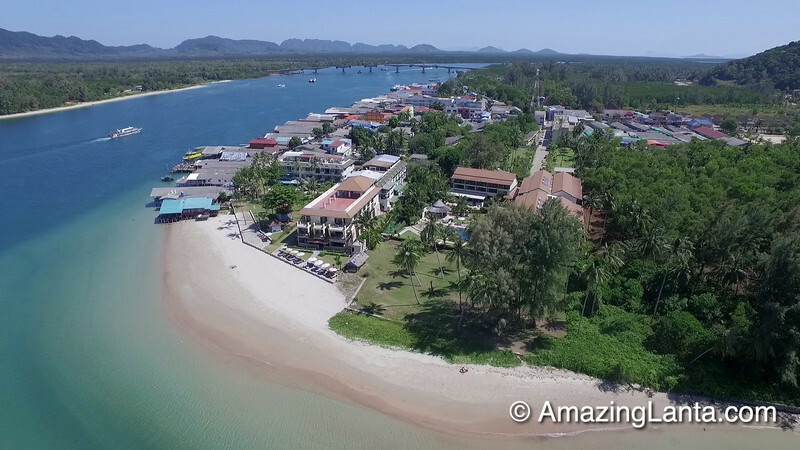 The Lanta Pura Resort and also the Lanta All Seasons Resort offers beachfront resorts, although the beach is not one of Koh Lanta’s main beaches it is a very nice place to stay with incredible views and is a very quiet area. Amazing Lanta’s map of Ban Sala Dan shows the main hotels, guesthouses, restaurants, shops and amenities in Saladan Village. This is the main Police Station on Koh Lanta. Report any problems here as their English is very good. 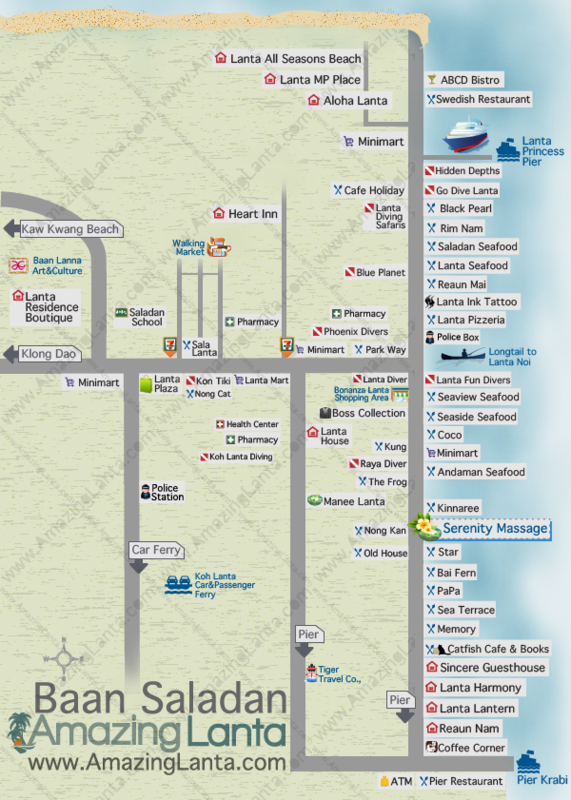 You can also see Ban Sala Dan on Google Maps – the major points of interest are marked with icons.